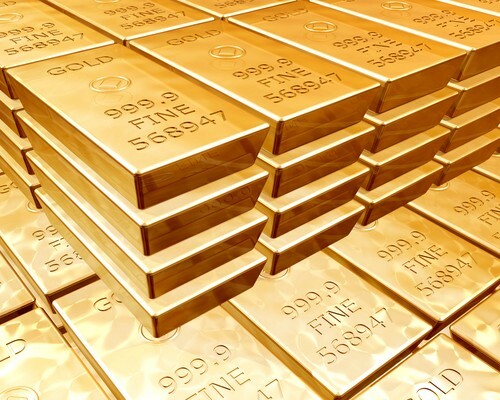 - Gold price made a nice upside move and traded above the $1300 level against the US Dollar. - There is a monster bullish trend line forming with support at $1305 on the hourly chart of gold versus the USD. - Recently in the US, the Manufacturing Purchasing Managers Index (PMI) for Dec 2017 was released by the Markit Economics. - The outcome was above the forecast of 55.0 as there was a rise in the index from 55.0 to 55.1. Recently in the US, the Manufacturing Purchasing Managers Index (PMI) for Dec 2017 was released by the Markit Economics. The market was positioned for no change in the PMI from 55.0 in Dec 2017. December data indicated a marked improvement in US manufacturing operating conditions. The latest upturn was supported by faster increases in output and new orders, amid reports of greater client demand. In line with stronger production growth, employment rose further and at the fastest pace since September 2014. Overall, gold price remains in the bullish trend despite the current correction from the $1321 swing high. There was a major support base formed at $1260 in Gold price against the US Dollar. The price started a major upside move and was able to trade above the $1280 and $1300 resistance levels. It traded above the 100 hourly simple moving average and formed a high at $1321.36. At the moment, the price is correcting lower and already moved below the 23.6% Fib retracement level of the last wave from the $1296.41 low to $1321.36 high. On the downside, there is a monster bullish trend line forming with support at $1305 on the hourly chart of gold versus the USD. The trend line support is around the 50% Fib retracement level of the last wave from the $1296.41 low to $1321.36 high. As long as the price stays above the $1305–1310 levels, it remains in a major uptrend towards the $1325 and $1330 levels.